Thank you for a great first Nordic APIs! Last week Dopter and Twobo arranged the very first ever all-API-related event in the Nordics. The original plan was to do a half-day conference for 30 – 40 people; however, the interest was tremendous, so we decided to run the same sessions in both the morning and afternoon. We had 170 people reserve spots and over a hundred showed up. A huge thank you to all our sponsors that helped make the event possible. Without their support and everyone’s participation, we would not have had such a great event. In case you missed it, you can find a run down of the day’s talks below. Video recordings and slides will be published soon, so subscribe to the blog and follow us on Twitter. My partner in crime, Travis Spencer, kicked off the day with a talk about why APIs, why now, and why the Nordics. He continued later in the day with some very good info about securing APIs. In the afternoon, he was joined by Jacob Ideskog to show off a demo of what’s possible using the Janrain API. They finished their talk with an announcement that they have partnered with Janrain . To learn more about that and about how Twobo is helping organizations securely launch APIs, check out their site. Next up I took the mic from Travis to talk about the current state of APIs and coming future trends worth keeping an eye on. We are still early in the development of APIs as a standard way of integrating systems and as a plattform for businesses but the industry is quickly maturing. To keep up to date with what happens in the API world follow my blog mashup.se (in Swedish) or follow me on on Twitter (@andreaskrohn). The presentation from Ronnie Mitra of Layer7 Technologies about Developer Experience (DX) was very well received. It got everyone talking and thinking about how APIs are bonafide products or will become such as the market matures. 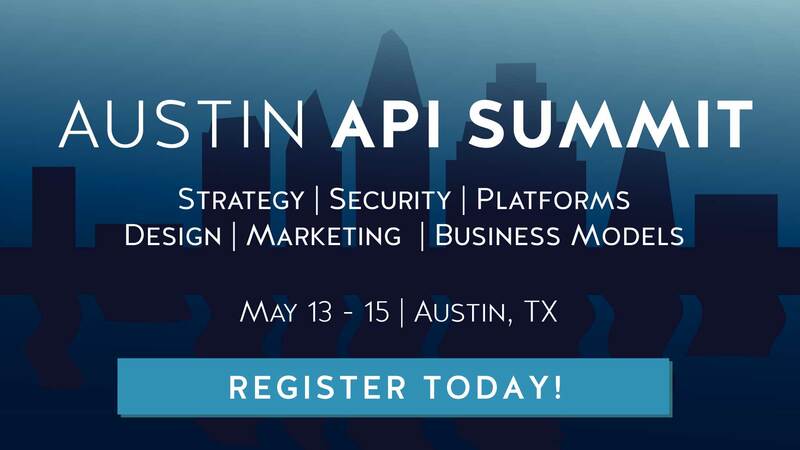 It made us all wondering about the business of APIs, a topic we’ll certainly explore more at upcoming events. Till then, check out Layer 7 and their API Management solutions and their API Academy to learn about publishing an API. The event was located at Jayway’s offices in downtown Stockholm. They also helped a lot with all the practical issues like projector, chairs etc, which was invaluable. Without their hospitality and help, I do not think that our first Nordic APIs would have been as smooth. The presentation of HTML Hypermedia APIs by Gustaf Kotte of Jayway was also spectacular. It was great to have Ping’s European CTO represenative, Hans Zandbelt, at the event. His talk on the importance of digital identity in protecting APIs was one that many people said they especially enjoyed. To learn more about about securing Web APIs from Ping, join us in Copenhagen or Stockholm where Hans and his colleague, Paul Madsen will take part. Also, visit their site which has a lot of into about API security. During the day, Axiomatics announced an exciting new initiative they have started that is geared toward developers. They told us that they’re launching developer.axiomatics.com where API developers can find useful information and technologies that can be used to perform access control in an API. More on that from them in May, I’m sure. After the event, they also took us to a nearby Belgian bar to enjoy a drink and talk more about the day. A very big thank you to Axiomatics for that. A talk in such a casual setting is so great for building community. Samtrafiken’s mission is to get more people to travel by public transport. One way they do this is with the Trafiklab portal that makes a number of public transport APIs available. There is everything from travel planning to route information (GTFS files) for the whole of Sweden. Thanks to Lars Löfquist for coming and telling us about the lessons learned by Samtrafiken after running this API for a couple years. We got several complaints that the coffee, pastries and fruit supplied by Booli were too good, which means that attendees ate too much. Life is hard sometimes. When you are done dreaming about the great pastries don’t forget to check out Booli’s API for information about houses and apartments for sale. These guys are doing some really innovative stuff, and it was great to have them involved. Also a big thanks to Janrain and CA Technologies for their support of Nordic APIs. Without the attendees, this whole thing would be pointless, so a BIG THANK YOU to all that attended and took part in the day’s activities. We can’t wait till the next event in Copenhagen and in Stockholm in the fall. With the tremendous turnout, you can be sure we’ll arrange more events. Finland? Norway? We’re gunning for you, so look for us there too before long. Till then, join the community and register for the regional event in the fall.